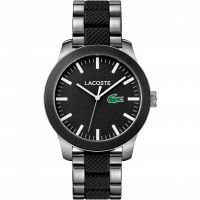 Sporty, sophisticated, and effortlessly cool, Lacoste watches represent everything the legendary athletics brand is adored for. Created by French tennis legend René Lacoste, who was nicknamed ‘the crocodile' due to his on-court tenacity, the first Lacoste polo shirt debuted in 1933. It featured the emblematic croc motif and became the go-to uniform for the more discerning player. 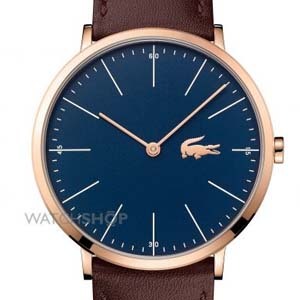 60 years later, Lacoste released its first watch, which replicated the fresh, preppy look of the classic polo shirt. Today, the collection is even more diverse. 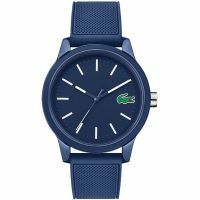 From sophisticated, handsome pieces that replace the croc with a more subtle Lacoste logo to colour-popping models, there's a Lacoste watch to suit everyone's sporty, sophisticated, and stylish side. 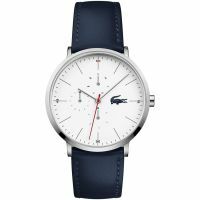 Taking inspiration from Lacoste's iconic L.12.12 polo shirt, the 12.12 watch collection is simple, fresh, and timeless. Choose from spearmint green models with comfortable silicon bracelets, sturdier stainless-steel pieces with two-tone straps, and eye-catching kid's models in fire-engine red. Each piece from the 12.12 collection embodies the sporting Lacoste spirit. 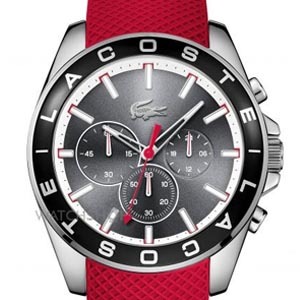 Sporty and active yet classy and timeless, Lacoste is the original and quintessential watch brand for men on the move. 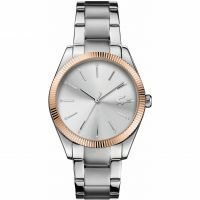 Whether you choose a colourful chronograph or an understated model with a leather strap, each watch is sturdy enough to hold its own on the court, yet elegant enough to wear with your best smart casual attire. Gold that shimmers, colours that pop, and an iconic logo that snaps – it can only be Lacoste, the original premium sports brand. 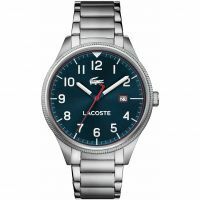 The Lacoste ladies' collection blends active features and sturdy materials with eye-catching looks, in big and bold tones or more muted shades, so there's a watch to go with every look. 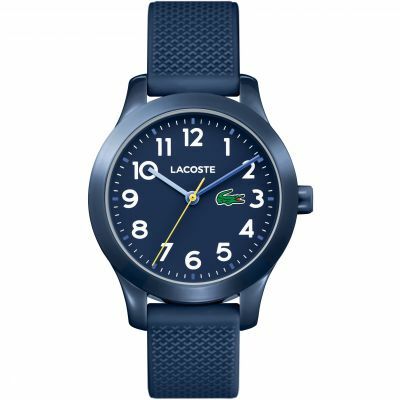 Check out more of what Lacoste has in store with the brand's other diverse collections. 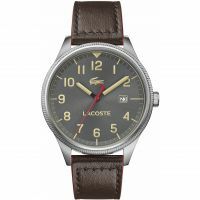 Created by René 'the crocodile' Lacoste to provide tennis players with a stylish yet practical uniform, Lacoste was one of the first sports companies to understand the power of branding. 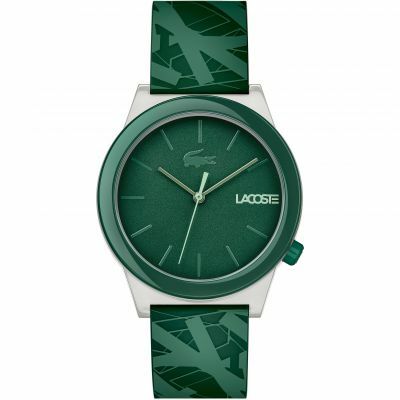 Today, Lacoste remains true to its origins, and is always authentic and one of a kind. Fed up with the restrictive long-sleeved shirt, tie, and trousers uniform, René Lacoste breaks the mould and causes a racket with his simple yet effective designs. The emblematic crocodile logo debuts, saluting its founder's on-court nickname. 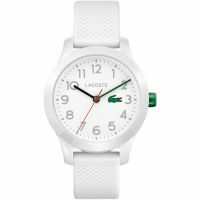 The first Lacoste watch debuts, inspired by the iconic white and green polo shirt design. Christophe Lemaire steps in to Lacoste as Creative Director and helps update the brand for a new generation. Lacoste launch Save our Species campaign, which sees their iconic croc logo replaced by 10 endangered species, selling out almost immediately. 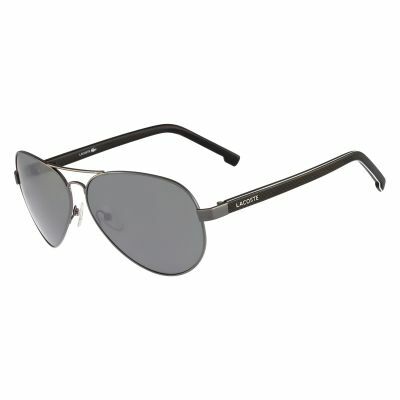 The first brand to master the blend of sportswear and fashion, Lacoste sets the standard for preppy meets cool fashion. 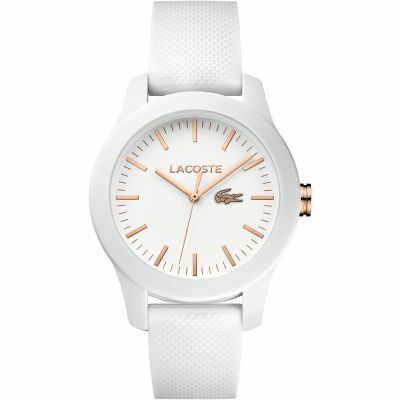 Lacoste's timepiece collections effortlessly captures the brand's sporting spirit and elegant style, so you can look fresh both on and off the court. 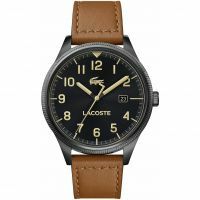 Numerous sporting icons have been associated with the brand over the years, including US tennis stars Andy Roddick and John Isner, and French tennis veteran Richard Gasquet. Even James Bond is not averse to the Lacoste charm, as Daniel Craig was seen wearing a navy-blue Lacoste polo shirt in the movie SPECTRE. 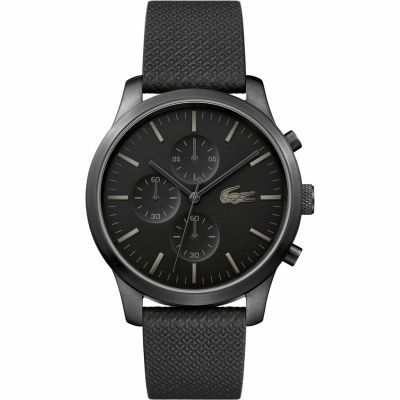 So, why not elevate yourself to sport or superspy status and feel casually confident with a Lacoste watch. 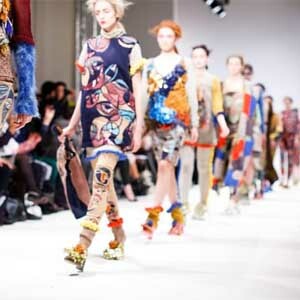 Read on for further inspiration about the iconic French sports brand that never goes out of style.